The simple name “mud cloth” scarcely does justice to the mastery of chemistry needed for the multi-step production of these dyed cloths. The deep brown color is created using iron-rich mud, fermented for over a year. But the fabric must be pre-treated before to allow the mud to function as a dye, and the motifs bleached afterward to restore their whiteness. Traditionally worn by hunters as a form of camouflage, mud cloth has become a popular export item as well as a symbol of Malian national pride. Fashion designer Chris Seydou is generally credited with popularizing its use for western-style clothing in the 1980s. Since then it has appeared regularly on fashion runways, as in these examples from Givenchy and Oscar de la Renta, as well as in hats, dashiki, and casual shirt-and-shorts sets for men. The high level of demand has resulted in the use of synthetic dyes, sometimes hand-applied and otherwise screen printed in imitation of the traditional, hand-painted technique. Artist and master Aboubakar Fofana, well-known for his indigo-dyed textiles, is working to sustain the traditional, natural mud-dyeing technique in his native Bamako, Mali, where he maintains a studio. 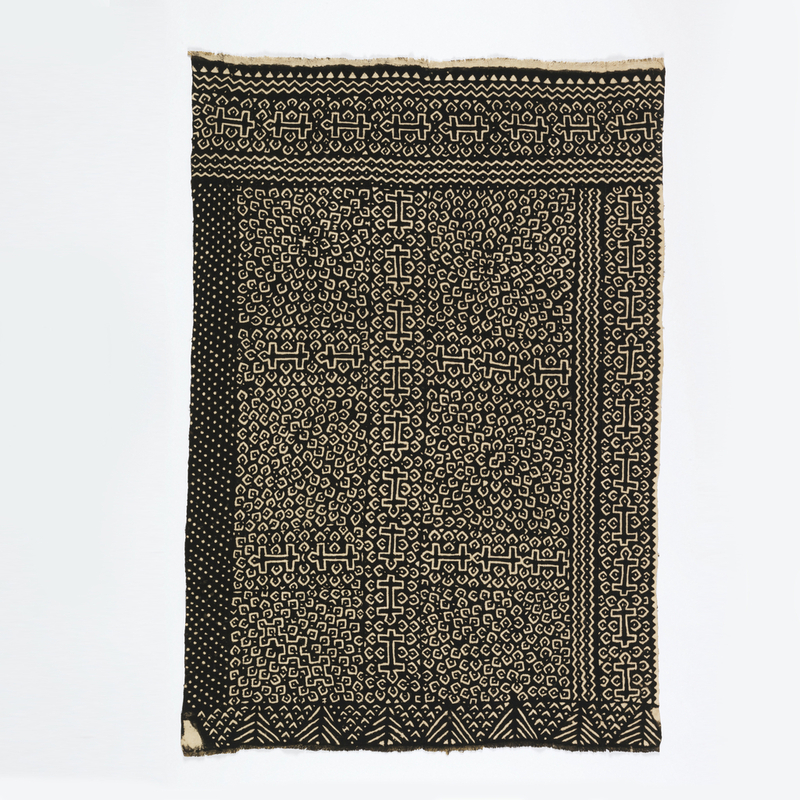 This mud cloth is on view in the exhibition David Adjaye Selects: Works from the Permanent Collection, along with thirteen other pieces from the museum’s African textile collection.